The Toxic Leader: If people can’t get along with me, that’s their problem! The Conflict Avoiding Leader: Jesus was a peacemaker, and so am I. The Proud Leader: I’m not arrogant. I’m just confident. The Control Freak Leader: I cannot, not be in charge! The Defensive Leader: You made this mistake, not me! The Lukewarm Leader: I’m not unmotivated. I’m just content. The Free Range Leader: I don’t like boundaries. I need freedom! The Narcissist Leader: I’m special, and I know it. The Socially Clueless Leader: I’m not dysfunctional. I’m just not a people person. The Distractible Leader: I have a really great idea, again! The Non-Resilient Leader: When the going gets tough, run! The Intentionally Deaf Leader: I can hear you. I just choose not to listen to you. The NO Can Do Leader: I’m sorry, but the answer is NO. The Silent Suffering Leader: If you only knew how I am really feeling! If you are like most leaders, you can uncomfortably resonate with at least one or two of the bad behaviors. Just because you are a leader behaving badly, that does not mean you are a bad leader. You can change by addressing these behaviors. It would take a very thick book to begin to describe what is needed to better manage and grow out of each behavior. However, here are seven steps that we have seen work successfully. One of the first and most difficult steps for a leader who is behaving badly is to face reality. This means courageously examining yourself and acknowledging your shortcomings and their effects on those around you. You may need to acknowledge these faults to your team and express a desire to change. You may also need to ask forgiveness and pursue reconciliation in some relationships. The Bible charges us to clothe ourselves with humility (1 Peter 5:5). Yet, our natural bent is in the direction of arrogance and entitlement. One of the true signs of spiritual transformation is how we submit to those around us which is not a popular concept in an age of growing cynicism with authority. Such submission requires humility. Signs of humility include listening, flexibility, sacrificing our own desires and will, and trusting the wisdom of others. Do you have a “truth teller” in your life who tells you the truth no matter if you are going to like it or not? Let’s be realistic, no human leader is perfect or flawless. While this is stating the obvious, we often forget it and start to believe that other leaders really have it all together. While some leaders may have learned to manage their bad behaviors more effectively than others, most leaders will struggle with one or more of them. Any honest and self-aware leader will tell you just that. While we are all a bit broken in how we think and function, those who embrace the wisdom of the Bible can hold onto the hope that God is both forgiving and redemptive. Remember, Jesus came to provide forgiveness for the fallen, healing for the hurting, and hope for the hopeless. How you think about your life and circumstances has a powerful effect on you and those around you. Highly anxious leaders can easily produce highly anxious families, workers, and organizations. Highly influential leaders also experience the pains and disappointments common in life. What sets them apart is not that they never think about their problems in an unhealthy way, but rather it is how effective they are at catching the thoughts early. They put off old and unhealthy thoughts, and put on new accurate thoughts. The Bible calls this renewing our minds by putting off our old self and being made new in the attitude of our minds (Romans 12:1-2, Ephesians 4:22-23, Philippians 4:8). We highly recommend that leaders who want to grow arrange an externally facilitated Leader 360 Assessment Report. A Leader 360 includes gathering anonymous perspectives of how others see you as a leader. These perspectives include your own view of yourself and also the views of your supervisor(s), your peers, and those who report to you. Such feedback is one of the most accurate ways to identify strengths, bad behaviors, and possible blind spots. We cannot grow without feedback. It is common for people to respond with defensive routines when given feedback they may not believe or want to hear. Defensive routines often hinder the recipient from learning and may influence the giver to choose to withhold feedback. Some of the most common defensive routines include blaming, attacking, denying, withdrawing, and spiritualizing. While such internal responses are common at first, a wise leader takes hold of them and manages them rather than letting the defensiveness manage him/her. Managing your defensiveness will help to create a safe environment for both you and those you lead. Coaching from an experienced third party can help you become more open and flexible. 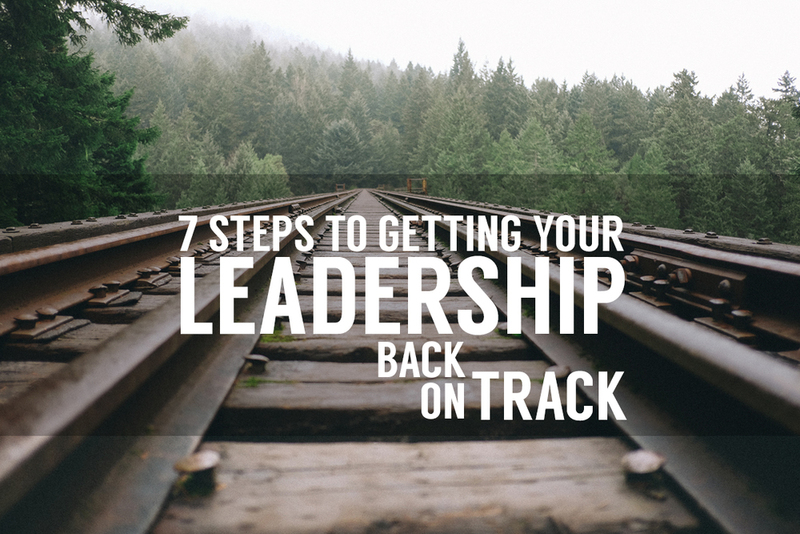 Let’s face it; feedback can be scary and threatening to even the most secure leader. A coach can help you make sense of what you are experiencing and what others are seeing in you. In addition, they can guide you through change and provide accountability and encouragement. We hope that you are able to identify and eradicate any hints of these behaviors in your own life so that you and your organization can be healthy and effective.